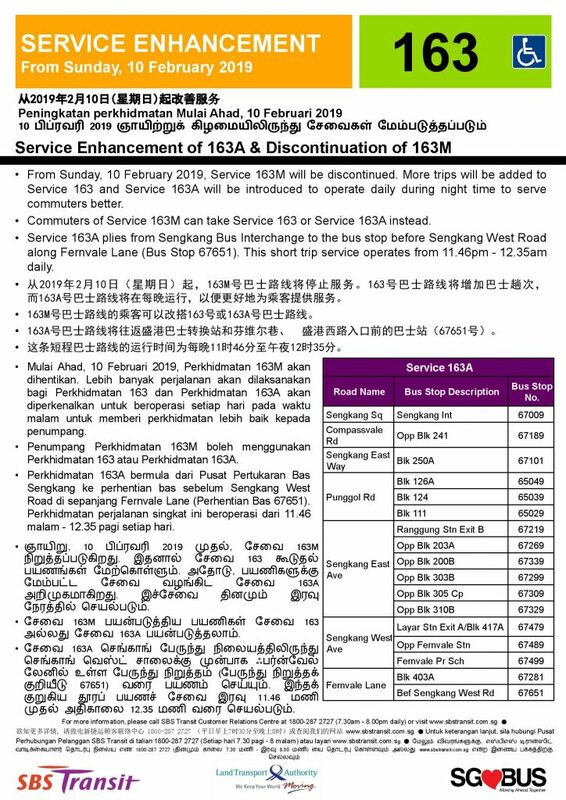 From Sunday, 10 February 2019, SBS Transit Bus Service 163M will be discontinued. 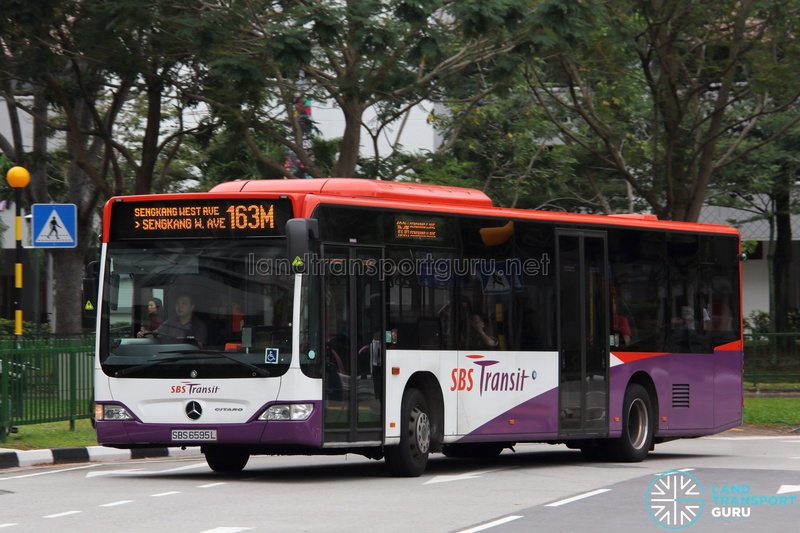 In replacement, New Short Trip Bus Service 163A will be introduced on the same day, from Sengkang Int to Fernvale Lane (Bef Sengkang West Rd), operating daily between 2346hrs & 0035hrs. More trips will be added daily to Service 163 as well.